This next version of the Equipd Bible app contains so many exciting and significant new features that I just had to make it version 3.0. I have wanted to add this feature for so long that I almost can’t believe it is finally here! A lot of thought has gone into the design of this feature. I wanted to support options that many Bible websites and apps with schedules do not support – for example the ability to run multiple schedules at the same time, instead of just one. And the ability to support weekly schedules. Many different Bible Reading Schedules supported. How you decide to read the Bible can have a direct impact on your enjoyment. Why not mix it up? You can read the Bible sequentially from start to finish in a year, or if you’re up to the challenge try the 90 day schedule! Or read a chapter from the Hebrew scriptures and the Greek scriptures each day. Or read the Bible chronologically, in the order events happened. If the default schedules don’t spin your wheels then hit the “Download more schedules” button and check out the Contributed Schedules available on the community forums. Once you have activated one or more schedules, you can now start reading. Just tap on a scripture and the fullscreen, distraction free Chapter window will launch. As you scroll towards the end of the reading you will see the green “Mark as Read” button appear. Tap this, the window closes, and the reading is ✔ ticked as done. If you tick all the readings as done for that schedule, then the schedule heading will also turn green – well done! Let’s be honest. Despite the best of intentions we often skip our planned daily Bible reading for whatever reason. If only something could prompt us or remind us! The Equipd Bible app supports 2x reminder notifications a day. You can set these to the times that suit you. I have mine set to 6:30am and 6:30pm. I try to do the reading first thing. But if for whatever reason I have not “marked as done” my scheduled reading for the morning, then at 6:30pm I will be reminded again. The second reminder will not activate if I have already completed my reading. Never miss your Daily Bible Reading again. You can change the times or deactivate the notifications to suit you. As mentioned the Equipd Bible supports weekly schedules. One of the default reading plans is the Weekly Bible Reading schedule used by JW’s at their midweek meetings. The weekly schedule starts new readings every Monday, but in reality the readings are relevant up to your meeting night. So if you have a Tuesday meeting, then you can tell the weekly schedule to start your new week on the Wednesday. That means that on the Wednesday it will switch to the next weeks readings in preparation for your next meeting. Now you can read, meditate and add notes for the Bible Highlights you want to share! The daily schedules allow you to specify the start date. So you can change the start date of the plan to some date in the past, and it will move you forward in the schedule. When it comes to the structure of the schedules the Equipd Bible supports schedules with commentaries, such as a Daily Text with Comment. It also supports sub-headings in the schedule so that you can group readings – these are used in the example Memorial Bible Reading Plan for 2016. I will post detailed instructions on the format and technical requirements of the schedules in the near future so that you can create and share your schedules on the forums. Click on a reading to begin! You can now view the Side Panel in the Chapter window on your iPad, which is great if you have multiple bibles installed and frequently jump to this window. It also allows your notes to be visible while doing your scheduled Bible reading. And on the larger iPhone (6/6S Plus) the same Side Panels will activate if you rotate into landscape orientation – you can slide in from the right edge of the screen to show the panel, or slide the other way to hide it. Notes now allow formatting options. The formatting does not yet appear inside the note window- but it will show in the Side Panels, and in the Notes Library. You can highlight text, make text bold, red, italics, underlined, strikethrough and more. The different options and instructions on how to add formatting are covered on the forums here. Notes now support links! This was a highly requested feature. Read more about manually adding links to your notes here. It even supports the markdown link format. But one of the most powerful improvements is that the Equipd Bible will now now auto-detect and link scriptures inside your notes. Just make sure your scriptures are wrapped in round brackets like so (Matt 24:14; Rev 21:3,4; 2 Tim 3:16-17) etc and the app will take care of the rest! See full examples and instructions about working with scripture links here. You can now view all Notes per Bible book in the Notes Library. As requested by several users you can click on a Bible Book > All Notes and scroll through all the notes for that book in one place. Support for JW Library scripture links. Tap+hold on a scripture link in the JW Library app, and then switch to the Equipd Bible and it will automatically look up the scripture for you! Read more about this feature here. Support for Japanese Furigana and Romaji! Similar to how the Pinyin, Zhuyin and Sidney Lau works for Chinese character EPUBs, this new feature will auto-generate Furigana and Romaji above Japanese characters in 2-line format, and can be enabled in the settings for any Japanese EPUB file. Multiple improvements to Split Screen support. There is even a new manual Clipboard Lookup button to work around limitations in the Split Screen mode. There is a new Verse Quick Menu available when you tap+hold on a verse number. This will allow you to perform quick actions on a verse – read more about this feature here. A new search option is available for English users – the Concordance Search! This used to be available in the older Equipd app, and now it returns even better than before. Many EPUB files do not include cross-references. This is most likely because the sheer number of references would make the EPUB large and many generic ebook readers would struggle. The Equipd Bible now automatically supplements several EPUB files with cross-references to work around this limitation. Further support for this will be added in the future. New EPUB Viewer, so you can navigate the EPUB contents outside of just the Bible structure. This is not intended to be a full ebook reader – there are plenty of other apps you can use for that, and it is not the focus of the Equipd Bible. But it is handy to be able to view additional features of any installed EPUB file, especially if it includes Appendices and supplementary chapters of interest. Tap on the Library button on the toolbar, and you can browse the EPUB Table of Contents of your Preferred Bible from the first tab option. Read more about the new EPUB Viewer here. 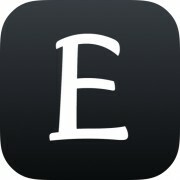 Glossary and Appendix links inside footnotes to the EPUB file are now supported. This has to be included in the EPUB file to work. Browse the EPUB file like an ebook. The audio detection for Psalms is now fixed. If you have downloaded audio files for Psalms these should now play automatically instead of asking you to manually select the file to play. Switching between Bibles in the fullscreen Chapter window is now fixed. Inside the Chapter window just double-tap or triple-tap (depending on your settings) to switch between your visible Bibles. The random issue where editing a Bookmark comment would not save should be resolved. Thanks for reading all that! I hope it wasn’t too long winded, but I didn’t want to miss anything. If you want to know more about any of the above features or changes, they are all explained on the forums in detail. I encourage you to become familiar with the forums as much as possible. You can read about all the new features here. You can read about notable bug fixes here. Request: If you are enjoying the Equipd Bible app and these new features, please take the time to add a quick review on the App Store. It helps others to see the value of the app, and it definitely helps me to keep motivated in supporting and improving it further. Thanks for your support. Update 16 May 2016 NZDT: Version 3.0 is now with Apple for review. Update 17 May 2016 2pm NZDT: Version 3.0 was just approved and should appear on your App Store soon. PS: If you are able to help with translating the app please let me know. I am especially after translators for the following languages.